Weihai New Beiyang Digital Technology Co., Ltd. (hereinafter referred to as “Digital Technology”) is a wholly-owned subsidiary initiated by Shandong New Beiyang Information Technology Co., Ltd. (New Beiyang) in December 2007 with a registered capital of RMB 100 million. On March 23rd, 2010, the parent company SNBC officially listed at the small and medium-sized enterprise board of Shenzhen Stock Exchange (SZSE), with the stock No. 002376. Digital Technology specializes in R&D, manufacturing, sales and service of self-service equipment and system integration solutions. It is a leading domestic supplier for precise processing of sheet metal, self-service equipment and system solutions among many industries and fields such as logistics, communications, medical treatment, electric power, lottery, transportation, food safety, public services, etc. Digital Technology is a new high-tech enterprise supported by the state. It is a star enterprise of China patent in Shandong Province and an innovative pilot enterprise in Shandong Province. It has established a “Provincial Enterprise Technology Center” and a “Provincial Engineering Technology Research Department”. Digital Technology is located at No. 126 Kunlun Road, Huancui District, Weihai City. The factory covers an area of 100,000 square meters and the construction area is 60,000 square meters. In 2016, with the strong support of local government and its parent company SNBC, it invested and built a “smart production factory for self-service integrated products (hereinafter referred to as “Smart Factory”), with a total investment of about RMB 600 million, and now it has a domestic leading smart production line that integrates sheet metal processing, painting and complete machine assembly. In the future, the Smart Factory will be built into a pilot project for smart production factories in Weihai and even Shandong Province, and it will actively meet the national strategic plans “Made in China 2025” and “Industry 4.0”. Digital Technology has obvious operational advantages and is a leading self-service terminal supplier in China. The company provides self-service equipment and system integration solutions for many industries and fields such as logistics, new retail, medical treatment, transportation, communications, e-government etc.. Logistics industry products: Smart locker, smart sorting equipment etc..
New retail industry products: Smart vending machine, smart food vending machine, self-checkout counter, self- cash register counter etc..
Medical industry products: Medical self-service filling machine, medical self-service registration machine, medical report pick-up machine, medical self-service inquiry machine etc..
Transportation industry products: Coach ticket vending machine, high-speed railway ticket vending machine etc..
Communications industry products: Mobile self-service inquiry machine, Mobile self-service payment machine, Unicom self-service inquiry machine, Unicom self-service payment machine, Telecom self-service inquiry machine, Telecom self-service payment machine etc..
E-government industry products: Smart punishment terminal for traffic violations, tax self-picking locker, public service inquiry terminal, social welfare self-service payment terminal, electricity self-service inquiry machine, electricity self-service payment machine etc..
Up to now, more than 100 kinds of system integration product have been launched, and more than 500,000 units have been widely used in daily life and work, it brings efficient, convenient and environmentally friendly way of working for various industries. The company has various patented technologies in the field of smart terminal/equipment. By the end of 2017, the company owns a total of 102 patents, including 15 invention patents, 58 utility models, and acquired 17 computer software copyrights. The digital sheet metal processing workshop, complete machine assembly workshop and painting workshop realize the whole process from sheet metal parts processing to complete machine assembly. It has more than 300 advanced R&D and production tools which leads to an annual production capacity of 120,000 sets self-service terminal. The sheet metal processing workshop has over 30 sets, valued at RMB 180 million high-end numerical control equipment, industrial robot and smart equipment, the numerical control equipment is up to 82%. It can realize the automatic and smart production of sheet metal from blanking, bending to welding, and can process more than 10,000 tons of plates per year. It has the longest and largest capacity of automated material warehouse in the Asia Pacific region--20 floors and 459 storage locations, with a maximum load of 1,377 tons. The painting workshop is mainly composed by highly automated air accumulation chain system, automatic spraying system, Germany Wagner powder room and Italy LESTA manipulator. It can achieve a production speed of one hang per minute. 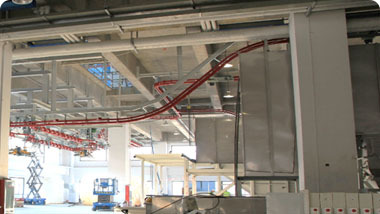 The maximum capacity per day is 1200 hangs, which is equivalent to the production capacity of a small car coating line. 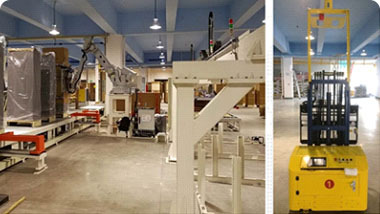 The assembly workshop is mainly composed by AGV automated flexible production line and automatic packaging line, which effectively improved the automation level and product packaging efficiency of the production system logistics operation. Independent innovation, as a key path to build a sustainable competitive advantage for enterprises, digital technology has always maintained a high resource investment in technology research and development. The annual average R&D investment accounts for more than 5% of operating income. From 2015 to 2017, the average increase of annual R&D investment is over 48%. With the product technology R&D mode of "combination of market demand driving and technology innovation driving", digital technology has established the R&D organizational structure and management system to adapt. Adhere to independent research and development, and rely on the parent company SNBC’s technology research and development platform to achieve cooperative development, form technology complementarity, rapid establishment of technical barriers in the field of intelligent manufacturing at home and abroad, master the core technology. The young, professional and knowledge-based R&D talent team has injected vitality into the enterprise's continuous innovation. Up to now, there are 222 scientific and technological personnel in the enterprise, accounting for 22% of the total number of employees. 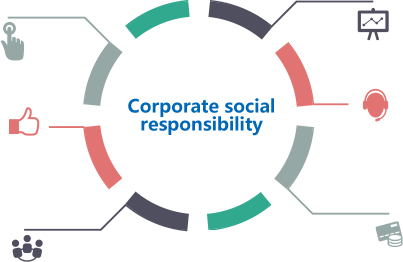 ntegrated product development process and matrix management structure based on IPD system will be continuously optimized and improved in the implementation process to ensure the standardization of product and technology development. 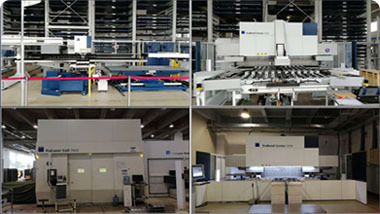 Owned all in one smart production capability from sheet metal processing, coating to the integration of the whole product, the company has the highest degree of automation production lines and automated library within the Asia-pacific region, the annual output of self-service terminal and the whole system integration products is 120000 sets. Bringing in advanced management system, through the software control system smooth the management channel of financial control (ERP), research and development control (PLM), paperless office (OA), production control (MES), process control (FAB), programming control (BOOST), material turnover, production and processing management, to achieve the full information management of smart factory. Put the cultivation of high-skilled personnel in the first place, build a team of technicians who can study hard, willing to endure hardship and love learning to ensure the continuous improvement of the work of the intelligent factory. Up to now, the enterprise has 113 technicians, among whom 2 have won the title of middle and senior technicians. Based on the fundamental of creating value for customers, digital technology can timely meet the diversified needs of customers with rich product categories, rapid customized development, rapid supply, rapid technical support and service network. With enterprise technology research, development and manufacturing advantages, Digital technology gains a wealth customer resources. Provided long-term services in logistics, railways, roads, postal, lottery, medical and other industries, the brand reputation has improved constantly. Weihai New Beiyang Technology Service Co., LTD. (hereinafter referred to as the "Service Company") is authorized by the company to be responsible for the service of all products. Services Company established the regional service network throughout the land and overseas, set up including the call center, service center, regional technical service center, maintenance service system framework of logistics center, and has set up a three-dimensional and flexible "3 + 1" service guarantee system, provide localized services to clients around the world. Management system: in accordance with relevant international standards, we have established a complete management system that runs through design and development, supplier management, production process control, product delivery and customer service. Detection ability: it has the comprehensive detection technology and ability of product features and functions, product reliability, environmental adaptability, mechanical adaptability, safety, electromagnetic compatibility and RoHS detection of six harmful substances, some of which have reached the international advanced level. Product certification: design and produce products in accordance with relevant national directives, regulations, certification standards and customer requirements. In terms of the sales of harmful substances, the products comply with the requirements of China's measures for the control and management of pollution of electronic information products. All products in the compulsory catalogue have passed CCC certification, and some products have passed China energy saving certification at the request of customers. Digital technology defines “first-class company” as “company with sustainable competitive advantage and courage to undertake Corporate Social Responsibility (CSR)”. Digital technology integrates CSR with daily operation and management, and continuously enhances the competitiveness of the company while forming a sustainable CSR management system to better assume corporate social responsibility. Digital technology respects and protects the development needs of employees, provides a platform for realizing employee value, and advocates employees to integrate personal pursuit into the long-term development of the company and realize the common growth of the company and employees. Digital technology and partners carry out multi-faceted cooperation in technology, products and markets, complement each other, create value for customers and achieve win-win development. Providing leading green smart products and solutions, actively promoting energy conservation and emission reduction, and contributing to building a green planet. As a company with strong corporate social responsibility, digital technology seeks environmental friendly development with practical actions and actively participates in social welfare. , fulfilling public obligations and giving back to the society as much as we can. The vision of digital technology is to be the world's leading provider of smart device/equipment solutions. Consolidate and develop endogenous growth, and focus on cultivating and developing an extended growth approach that achieves rapid expansion of enterprises through capital operations and strategic alliances. Actively implement business structure adjustment, market structure adjustment and spatial layout adjustment, and rationally deploy digital technology business portfolio. Focus on improving the company's marketing capabilities, technological innovation capabilities, operational control capabilities and continuous change capabilities.